Luca Terzini, Austin Leeds, Oscar L, Kyle Watson, Matteo D&apos;Marr & Adam K and more. Hey, hows it going? We are Evol Morg & Toby Kief. 3 Dj&apos;s/friends out of California. We are all huge fans of all the Insomiac events, and it would be a dream come true to play at Nocturnal Wonderland. 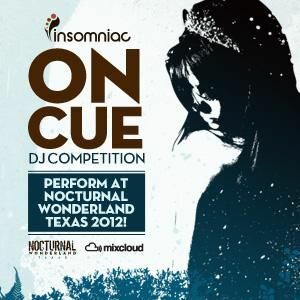 This is our entry for "The Insomniac On Cue" Dj Competition. We spun this set on 4 pioneer Cdj 1000s and a Djm 800. Hope you enjoy our mix as we take you through some of favorite tech-house/deep-house Tracks. TNX 4 YOUR support & GOOD LUCK! how do i vote for my homies Evol Morg?! rob and casey...you guys kill it!